Thanks, Danielle! 🙂 Have a great Monday! Beautiful work…..what an imagination !!! Extreme talent !!!! So cute! I love what you did with it- very creative! Emily recently posted…Barrel Full of Cash: New Little Hug Sweeps! What a creative idea! I love it! I’m pinning this one! Thank you, Michelle! I so appreciate you pinning! 🙂 Have a great day! Great repurpose. Love the colors, it looks so stylish. It looks fabulous, Amanda! Love the chalkboard on the shade!! Great makeover!! Thank you!! 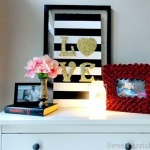 I love chalkboard anything, so, why not on a lamp shade? 🙂 Happy Tuesday! Your redos are so awesome! Thanks, Adrian! They are so fun. 🙂 Have a great day! 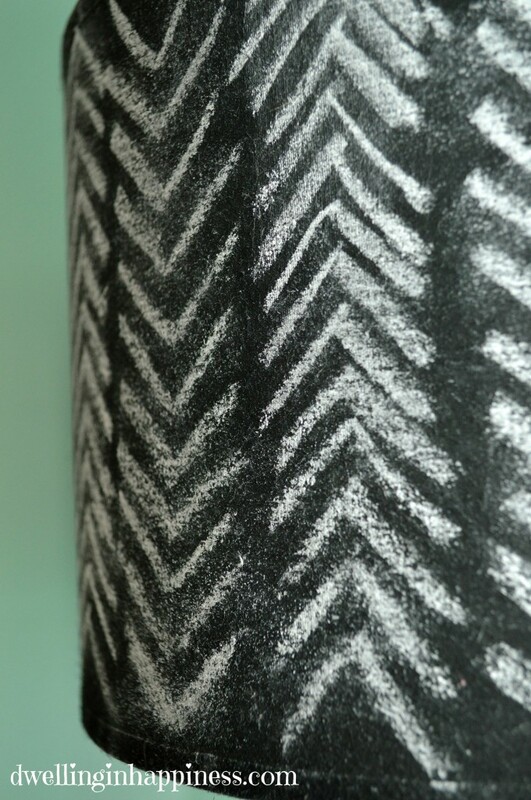 Chalkboard paint on a lampshade is brilliant, Amanda. Thank you, Sarah! I thought it’d be fun to try something totally different! And a bonus, it worked! 🙂 Have a great week! Girl, I LOVE this chalkboard shade! 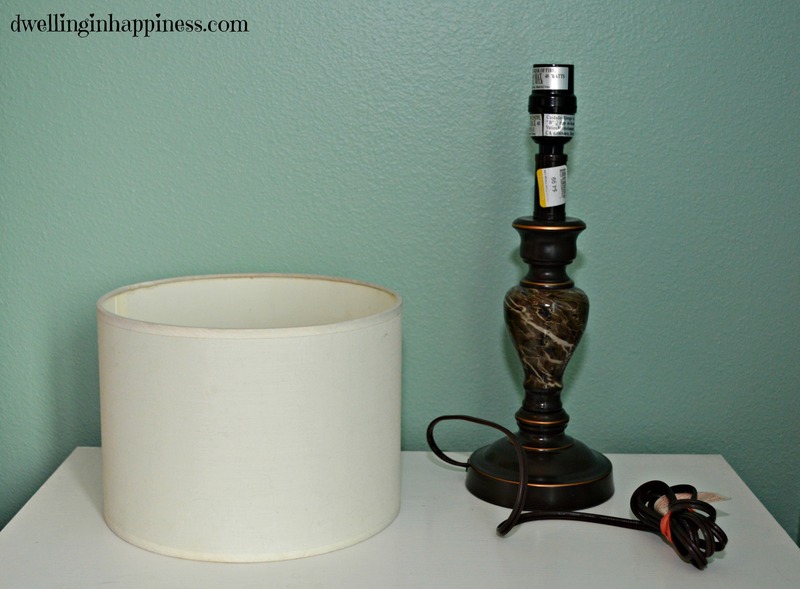 I have a two goodwill lamps I am making over and I was having trouble deciding what to do with the shades – this is it! I love chalkboard and we have some black in that room so I think this will be great! 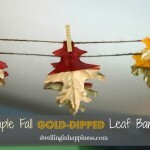 I pinned to a big group board on pinterest so hopefully its getting you lots of traffic. Keep up the good work! 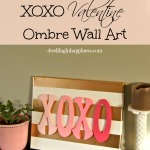 The chalkboard paint is a brilliant idea! I hope you post an update the first time you change the chalk design. Thanks, Brita! Ha, I will have to do that! Hopefully it won’t be too soon, the design I have on there now took forever for some reason! 🙂 Thanks for stopping by! I’m so glad you stopped by my blog so I could come visit you and see this awesomely awesome transformation! 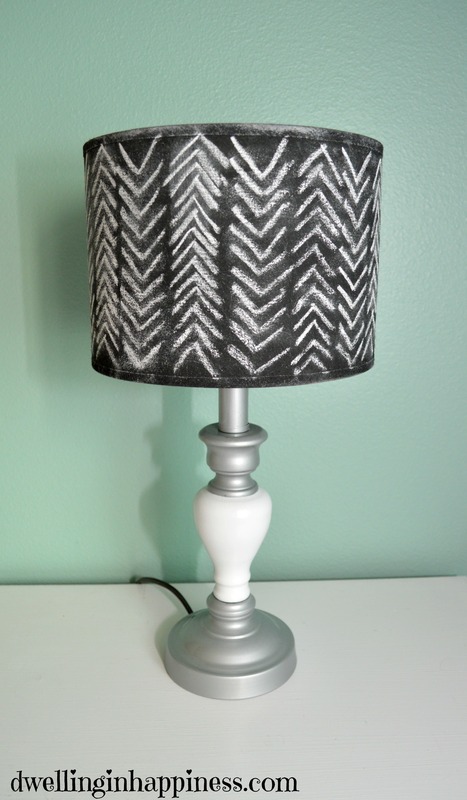 I never would have thought to use chalk paint on a lamp shade and I’m in love with the pattern you drew on it! Fabulous job! Aw, thank you Breanna! So glad you came by to visit!! 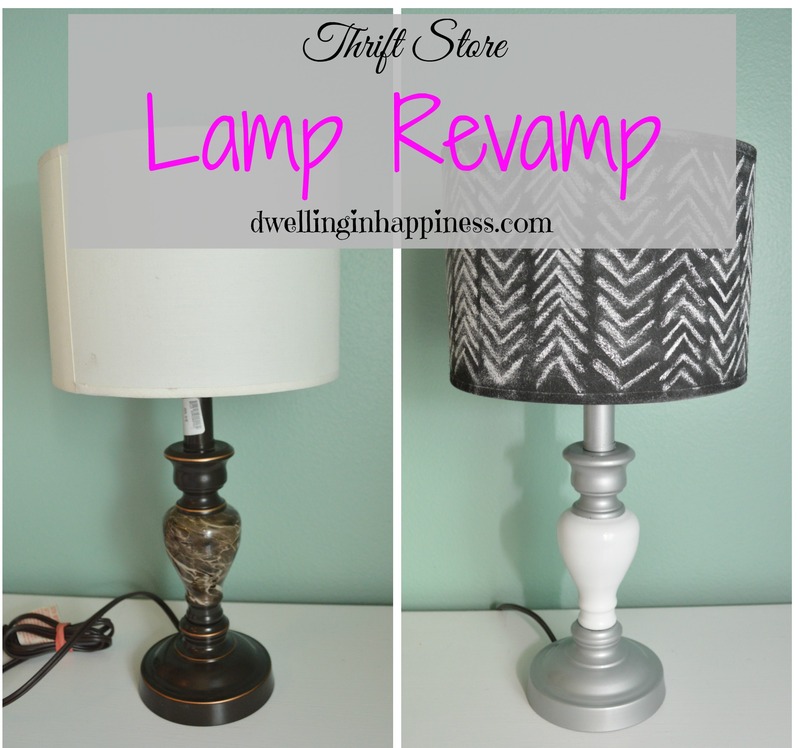 I love finding other bloggers who love to repurpose thrift store finds. 🙂 Happy Wednesday! I love the lamp! The white looks like marble; that is so cool! I am so in love with your lamp, awesome save. It never fails to amaze me what people can do with cast offs at thrift stores. Such great stuff and saving money, win, win. The lamp shade is terrific. I can imagine that took while to make sure rows were straight. Hope you’ll share when you do change. it. 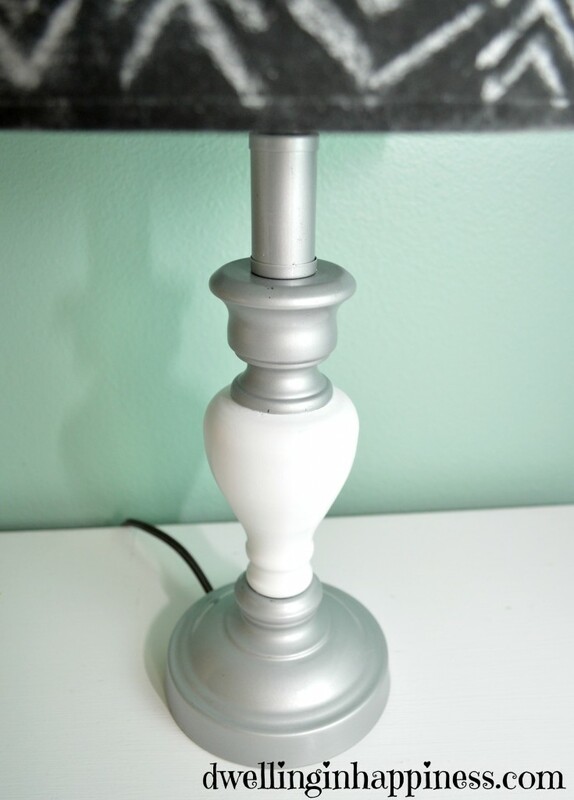 I spray painted a cloth lamp shade from Goodwill after we painted our living room. It’s a little fuzzy but gives shade some texture. 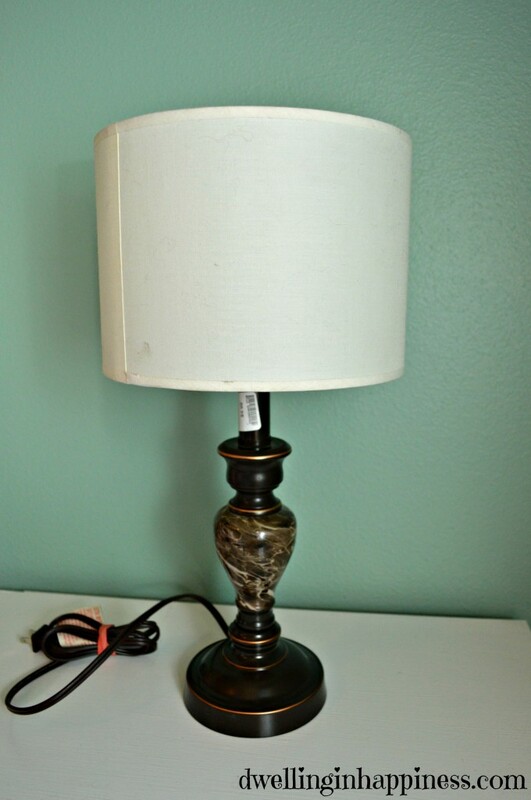 Also bought a lamp at Goodwill that had been there for few weeks, finally bought it on 1/2 off day. Pretty much everything in living room got painted or changed in some way. Only waited 8 yrs. to finally paint the room. Couldn’t decide what color or style til I came upon some curtain panels at TJMaxx on clearance. They are light gray with white damask design all over them. So I bought light gray paint and it began. Made all new art, did a gallery wall for first time in this house. Just had one heck of a good time once I finally got started. Covered a Habitat chair with 4 different but faded vintage table cloths, bought a “new to us” couch I love. What a difference in the room, so light bright and cozy cottage/little bit beachy. The beachy part will go away in the fall to be replaced with ? who knows what now. The cottage part will stay. Also used couple tablecloths on couch to help keep it clean. Now I’m much happier with our home. Getting ready to paint the kitchen and mudroom next. This isn’t our dream home, can’t afford that, but it’s what we could afford where we live. We do live out in country and have an amazing view all around us on our 1/2 acre. We have a single wide mfg. home 16×80 we try to make as homey as we can. We have best dog there is, an older cat that adopted us in KY and 5 chickens now. keep us two old folks out of trouble. Happy life Amanda, enjoyed your post and blog. Thank you for sharing at Wake Up Wednesday! I’m sharing your post on my FB page this morning. G’day! 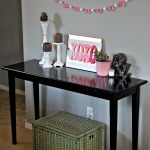 Chalkboard paint on a lamp? Nice! Especially for those of us who are subject to changing our minds a few times. 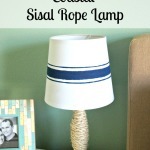 I love this DIY and I have several lamps that I need to make over. Thanks for sharing and linking up with us at the #WWDParty. Enjoy the rest of your weekend. What a cool idea. Great transformation. Love it!! Thank you, Christina! I linked up this morning. 🙂 Thanks for visiting! Thank you, Megan! Yay, a fellow spray painter! 🙂 You’ve totally got to try the spray chalkboard paint. 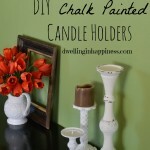 You’ll seriously go crazy chalking everything! 🙂 Thanks for visiting! I love this, you did a great job making this look shiny and new again. Thank you for linking up at Friday Favorites! 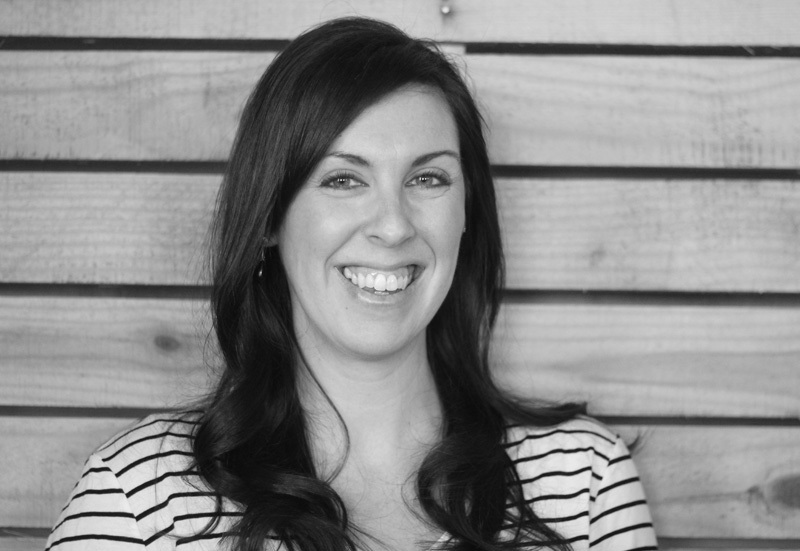 Emily recently posted…updating a book shelf, no money needed! Just a dust cloth…. Ok, this turned out adorable! Pinning!